Anyone familiar with the Sturbridge area knows where and what “Brimfield” means. Three weeks out of each year, over one mile of Route 20 in nearby Brimfield becomes the home for booth after booth, filled with antiques and amazing collectibles. 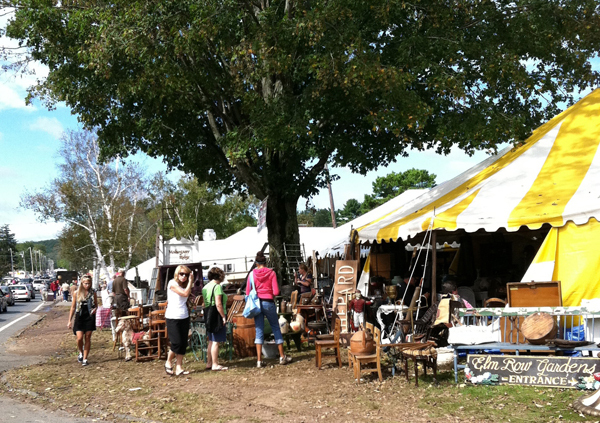 Over a mile of booths and tents greet visitors at Brimfield! The show runs for one week in May, one week in July and one week in September. The July dates are the 10th-15th and there is still time to make your reservation with us at The Publick House! We are only a VERY short drive away! Call 508-347-3313 for rates and availability.